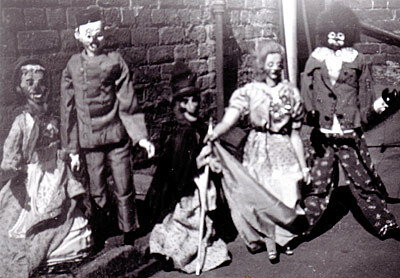 The picture above shows Harry Wilding and Puppeteer, Mary L Williams (nee Fanning) on the Right, with Harry's Son Bert and his Wife, Tottie (Mary's Twin Sister) on the Left. On the puppet stage can be seen one of the elaborately painted backcloths for which the Wilding Company was noted. 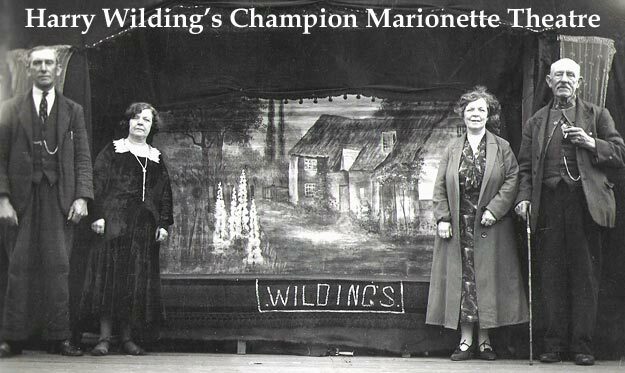 Photographic documentation of the Wilding's Marionette Theatre is extremely rare. In fact, when a Journalist writing for the World's Fair visited Harry Wilding in 1934, he commented in the subsequent article that although Harry had a great number of photographs, not only of his own exploits, but also of other Travelling Showmen of the era, the photographs were all very faded, with none being of sufficient quality to reproduce; even in 1934. 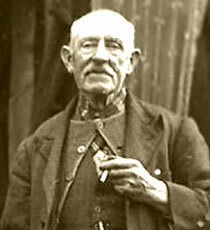 It is therefore a rare find to come across a photograph of such quality as the one above, which had been in the Wilding Family for many years. Harry Wilding played from the largest theatres to the smallest villages all over the world with equal skill and showmanship. Before setting up his own Company, he worked, most notably with Cooper, Wycherley & Pettigrove's Imperial Marionettes rising from being one of 18 manipulators to Principal Manipulator. He also worked with the Bullocks, D'Arc's, Cassidy's and Barnard Troupes. With his own Company, he toured extensively in the UK, usually pitching for three or four months in a town and playing six days a week. The family were once sited in Birmingham for two and a half years without having to move on, so vast was their repertoire of plays.